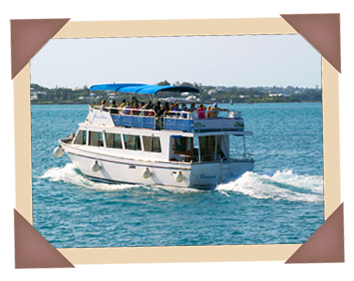 Join us on the most informative and highly entertaining sightseeing cruise in Bermuda. This tour will give you a wealth of well researched historical facts as well as lots of humourous personal stories about the island. Chaplin; and illustrator William Denslow, most famous for his work on the “Wizard of Oz”. Discover tranquil island hideaways only accessible by boat. See classic Bermuda landmarks such as Gibbs Hill Lighthouse, the oldest cast iron lighthouse in the Western Hemisphere.